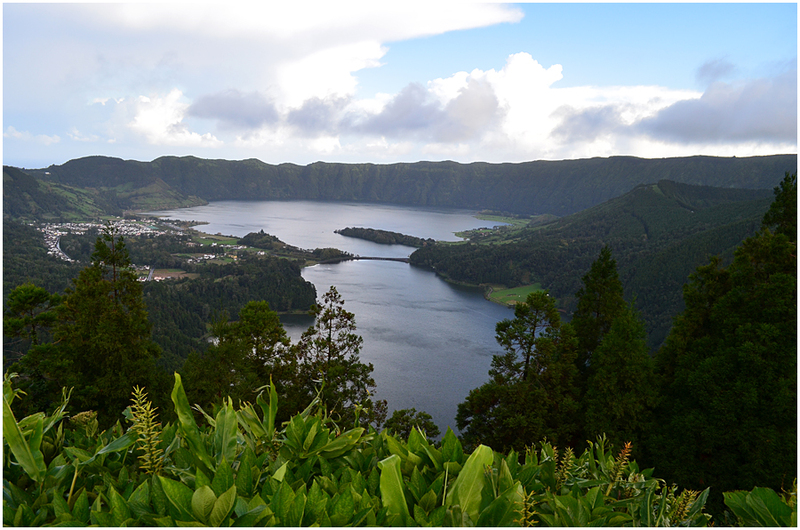 The view of the crater with two of the caldera lakes and the village as seen from the Visto do Rei look-out point or miradouro. 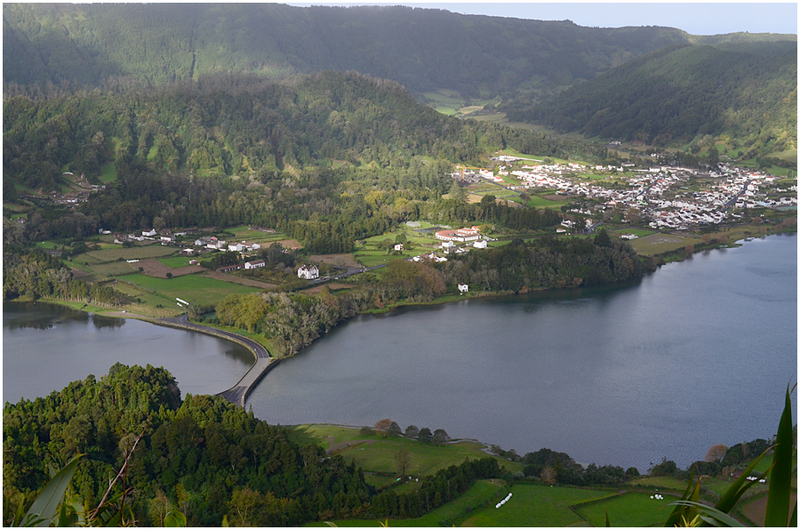 The Lagoa Verde (Green Lake) is closer to the camera, and beyond it lies the Lagoa Azul (Blue Lake). Here we get a better view of the village and the causeway separating the two lakes. 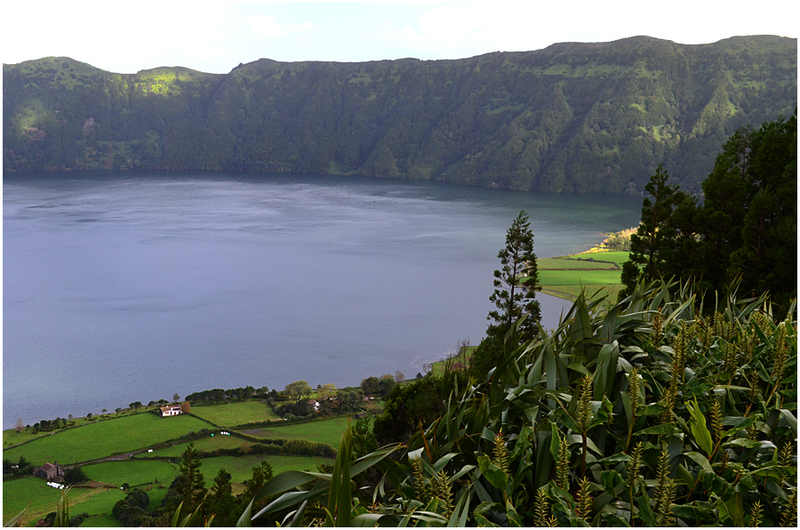 Looking across Lagoa Azul. The little cottage in the right foreground, the one with the red door and windows, is where I stayed for almost three weeks when I first visited the island at the beginning of 2000. It was here that I woke up on New Year’s morning to the most serene surroundings imaginable. Another view showing the cottage. 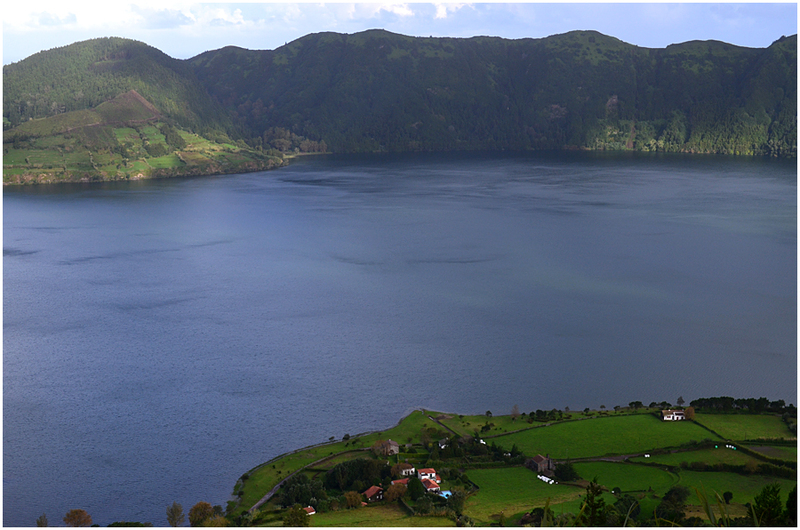 Note the steep caldera sides. 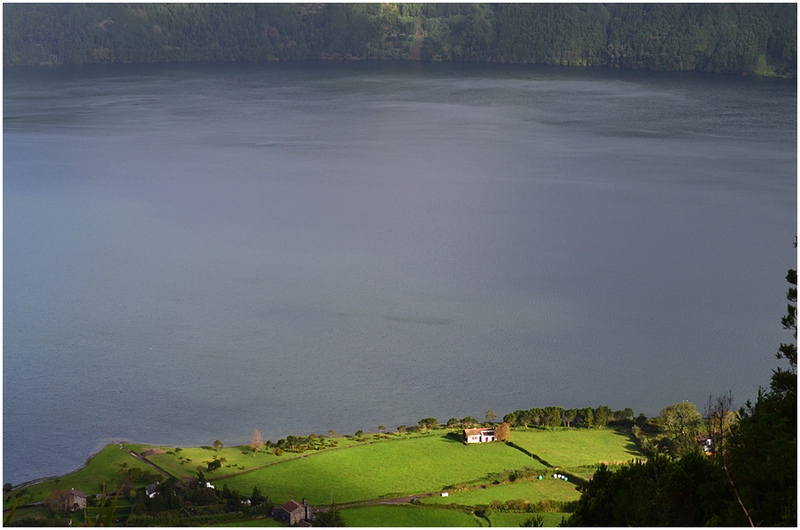 The intense greens are typical of the Azores. 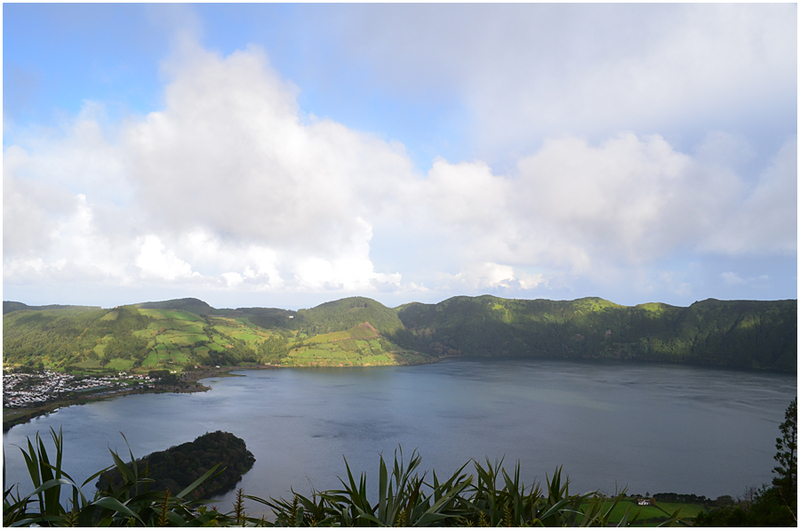 Looking towards the western side of the caldera. It is hard to think of a more idyllic place to wake up every morning! It gets so quiet that from our veranda at the cottage we could hear people singing in the village church. 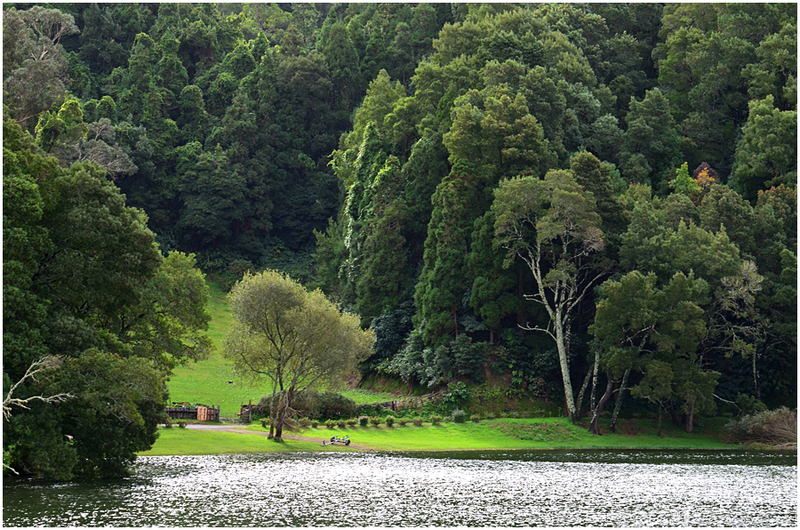 The greens here are a feast for the eye and calm the soul. 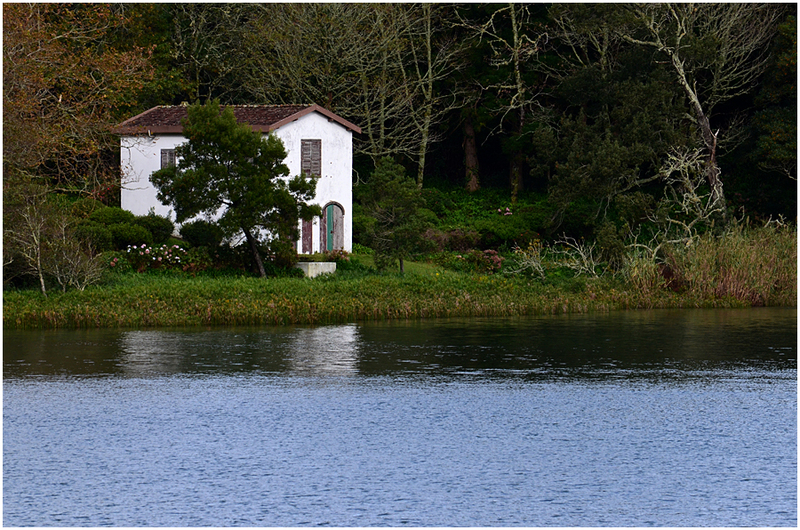 The house by the water. 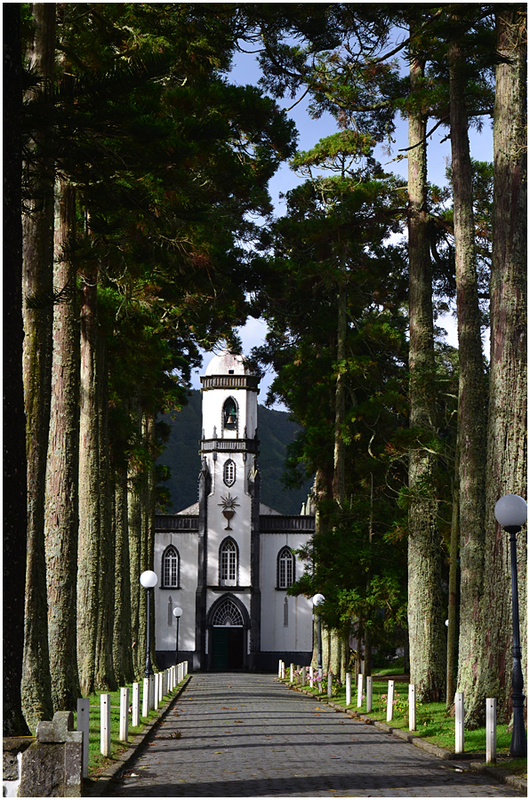 Igreja de São Nicolau, or the St Nicholas Church, is the parish church of Sete Cidades. The trees are cryptomerias, brought here from Japan, where it is the national tree, known as “sugi”. 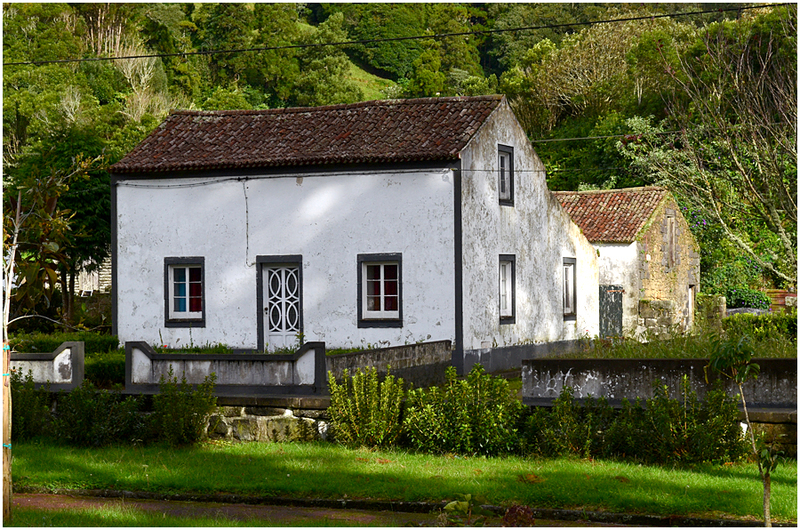 A typical Sete Cidades house – modest, but home to wonderfully warm-hearted people and a thing of beauty in the Azorean landscape.